Poster announcing the fifth annual Potawatomi Indian Fair held in Mayetta, Kansas. Activities include a parade, sulky races, lacrosse, baseball, snake dances, and broncho riding. 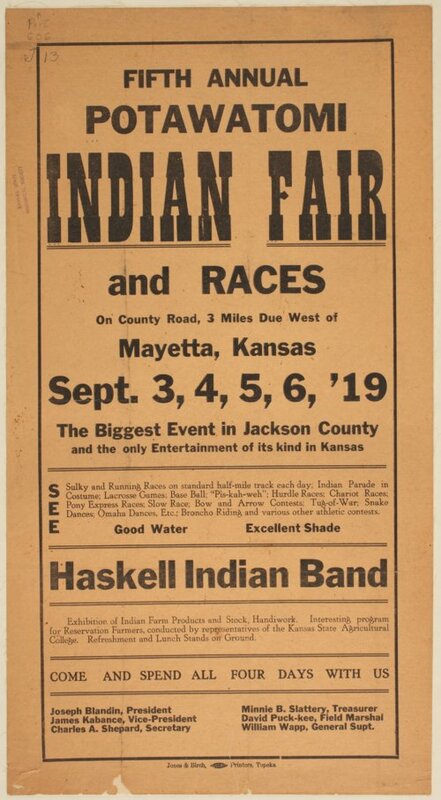 The poster also promotes the Haskell Indian Band.